The health visiting service in Birmingham is "in meltdown" a union is warning, a month after it was told by inspectors to improve. Birmingham Community Healthcare staff are handling above average caseloads, morale is at breaking point and leaving staff are not replaced, Unite said. A warning notice was served on the trust by Care Quality Commission (CQC) last month. The trust said it fully accepted the recommendations of the notice. Unite said it had 600 members at Birmingham Community Healthcare, which deals with physical health through community services within the city and wider region. Unite regional officer Su Lowe said the "deteriorating situation impacts negatively on the services they can provide to families and young children". "We are into unsafe practice territory where serious issues, such as postnatal depression and domestic abuse, could be missed because of the current lack of resources," she said. She said managers had not been clear about what steps were being taken to rectify the issues since the notice was issued. In response, the trust said caseloads had begun to reduce and the number of health visitor antenatal contacts had been increased as a result of CQC recommendations to reduce risk to children and families. Acting director of nursing Linda Lockwood said: "We have shared the content of the warning notice with our health visitors and have been meeting teams frequently to fully understand the pressures they feel and the help they need to perform this key role in supporting children and families across Birmingham." 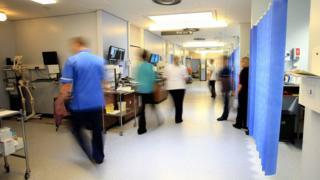 The Care Quality Commission (CQC) said it had carried out an inspection at the trust and would report its findings soon.